The Iranian artist Mohammadreza Javadinasab has recently created a number of calligraphic paintings on some Iranian percussion instruments called daf. The collection, which comprises 30 works, is scheduled to be showcased in an exhibition, which will open at the Panjareh Gallery in Tehran on May 2. "I was always interested in experiencing new patterns, so several years ago, I began creating my new collection on dafs," Javadinasab told the Persian service of ISNA on Friday. "So with the help of a friend, we created new forms of canvas made with pieces of wood and covered with pieces of textile and named it dafs," he added. "The dafs are in different shapes of circles, hexagon, octagon and several other shapes," he added. "Rhythm is of high importance in these works. I believe the dafs and calligraphy together help transfer the inner feelings and concerns of an artist," he remarked. 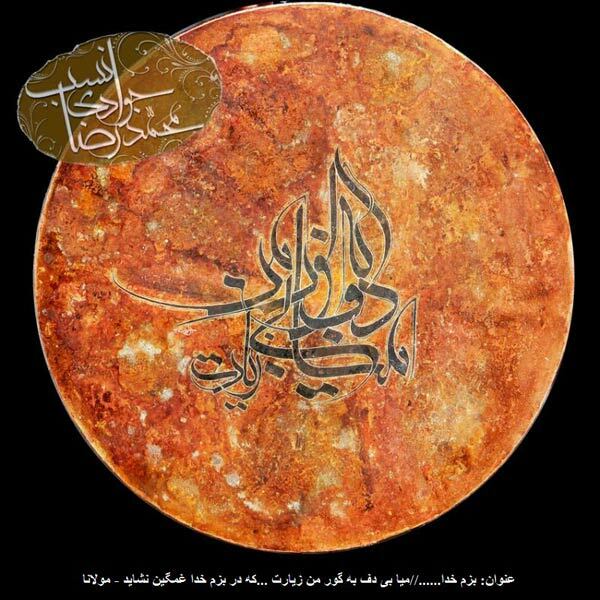 Fortunately, the art of calligraphic painting is highly regarded among artists and ordinary people, he concluded. 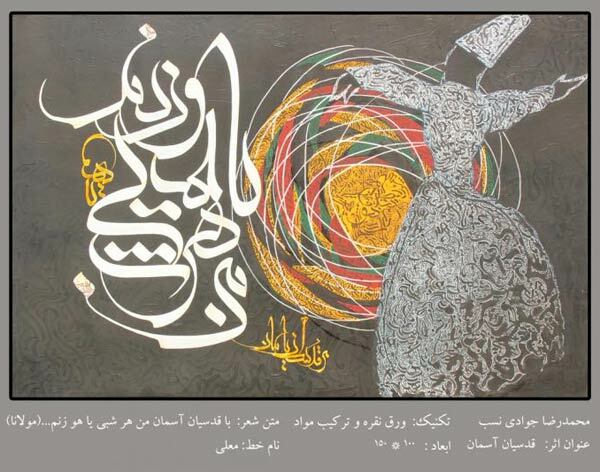 Javadinasab has been practicing the nastaliq style of calligraphy over the past 20 years and has held several exhibits. 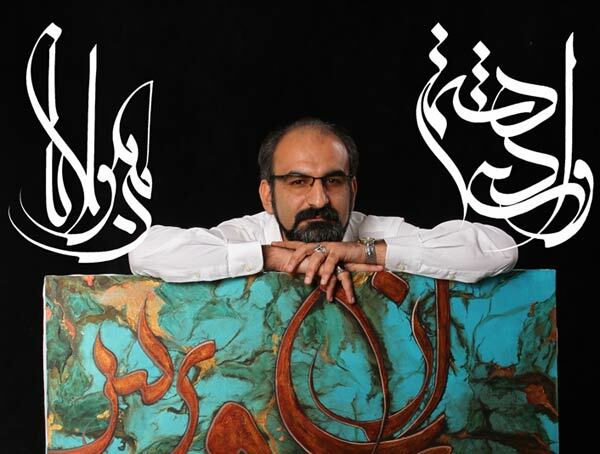 His exhibit will be running for one week at the gallery located at 29 Babak Alley, East Babak St., off Farid Afshar St. and Zafar Ave.